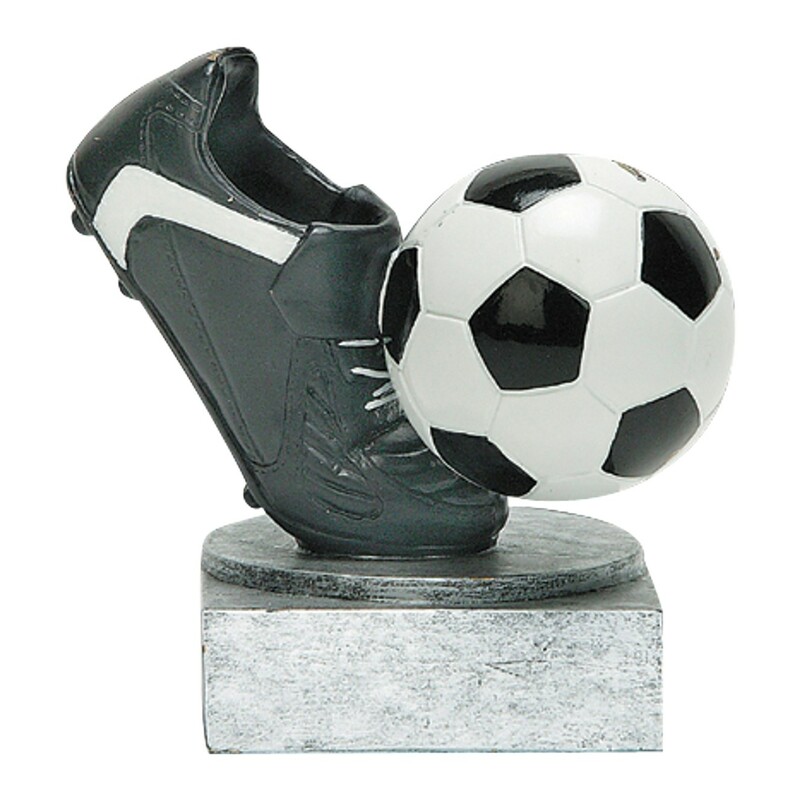 TheColor Ball and Cleat Soccer Resin Award is a visually witty soccer trophy featuring a miniature sculpture of a black soccer cleat arched to launch a soccer ball to a winning goal! 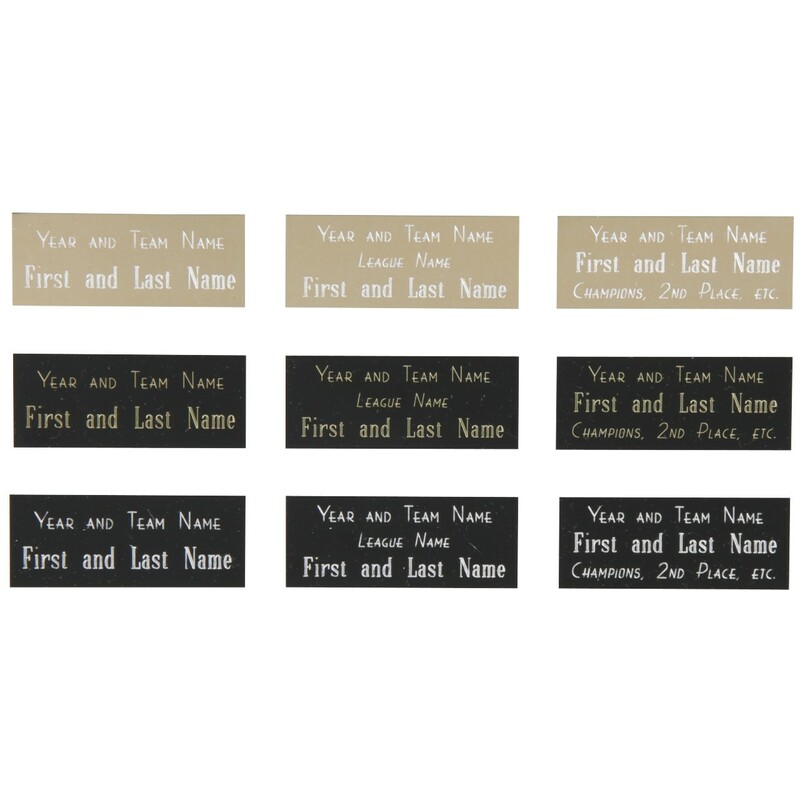 Perched on a pewter-finished pedestal base and standing at a total height of 4 inches, this is a sturdy little gem! This soccer resin award is the most emblematic award of the triumphs in the most popular team sports in the world!